The golf course is a part of the complex and is known for the international standard that the course lives up to. Eagleton –The Golf Village at Bangalore is designed by Australian golf architects, Pacific Coast Design Pvt. Ltd has an 18-hole, 72-par Championship course. The golf course at Eagleton is spread over 168 acres. There are 7 water bodies in the Golf Course. There are also some electric golf carts and a driving range. The Eagleton golf course is first of its kind in India and the golf course stands up to the standard of US PGA golf course. Eagleton – The Golf Village is a famous golf course in Bangalore which offers all kind of leisure and entertainment activities. There are 48 air conditioned executive suites attached to the club house in Eagleton. Each suite comprises of a bedroom, attached bath, balcony, drawing room, minibar, color television with cable connection and telephone. One can get a view of the golf course from the balcony of the suite. 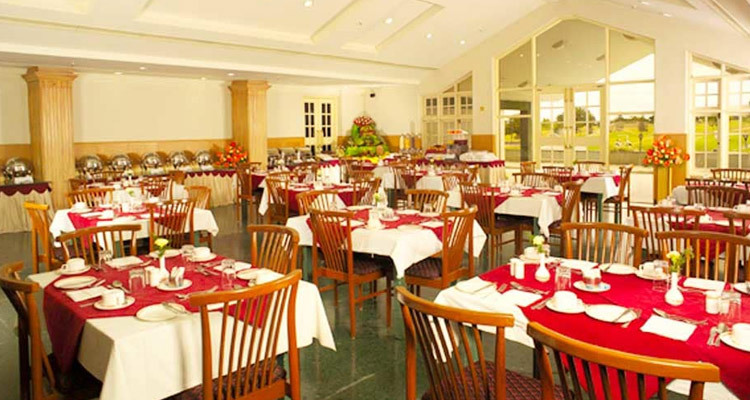 Other facilities offered to the tourists at the Eagleton – The Golf Village in Bangalore near Karnataka in India comprises of health club & gym, travel desk, 24-hour coffee shop, internet, laundry, doctor on call and swimming pool. 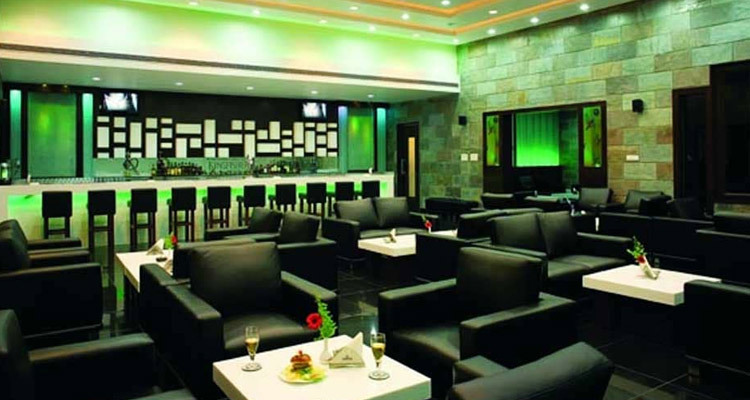 The Golf Village in Bangalore in Karnataka also has a golf academy, country club and a five-star hotel. The facilities offered at Golf Academy in the Eagleton Golf Resort are considered as one of the best in India. The long game driving range, practice bunker area, putting greens, chipping area, teaching materials and teaching aids and like digital video analysis. The learning lab helps the tourists in gaining the best opportunity to improve the skill of playing games. 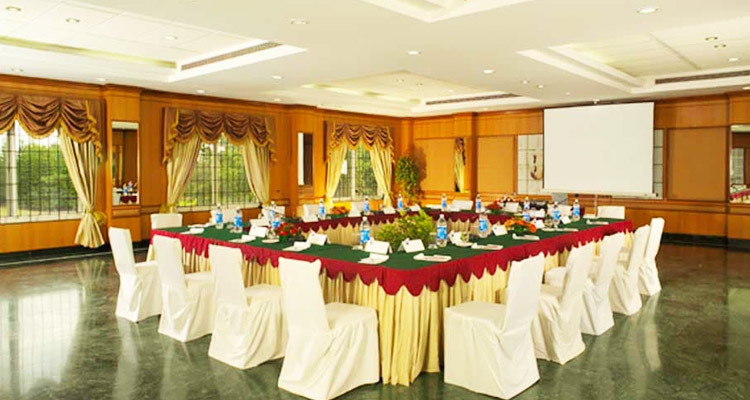 The conference hall, the restaurant, swimming pool and other facilities provided to the tourists helps them to spend a brilliant vacation in leisure and pleasure. The health spas also help the tourist to indulge in several relaxing activities in their free time. 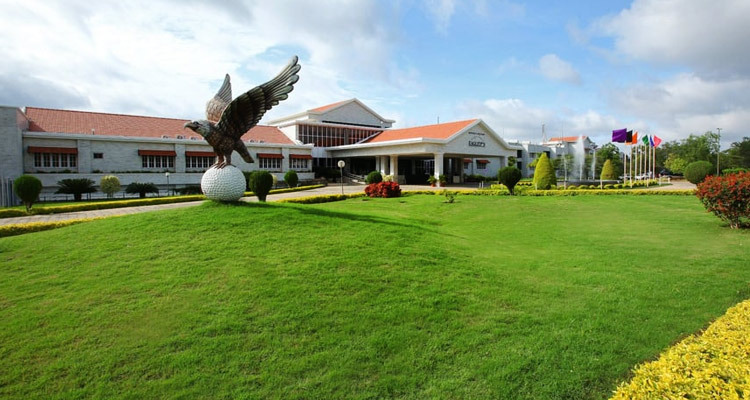 Eagleton -The Golf Village in Bangalore on Mysore Highway is located in the Bidadi Industrial Area near Bangalore in Karnataka. It takes about half an hour to reach Eagleton by car via the Bangalore Mysore Highway. 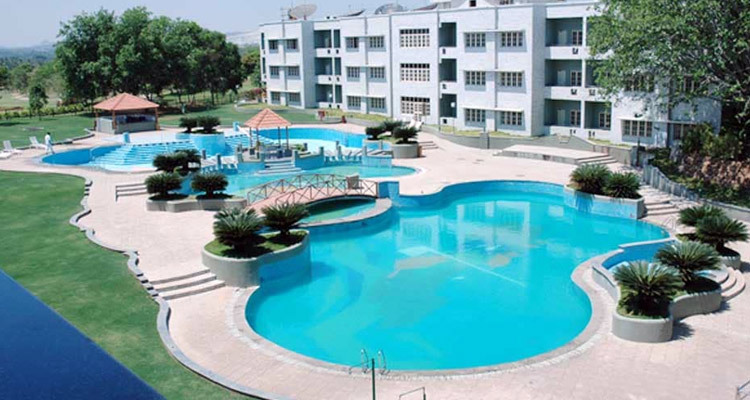 Eagleton –The Golf Village covers 500 acres of land on which stands the rare combination of nature and residential complex and recreational centers equipped with modern amenities.